A couple of years ago, I received a coupon for a free box from Green Kid Crafts. I reviewed the website and liked what I saw so I ordered a box. When it arrived my kids tore through it trying to decide who would do what activity. And every craft/activity in the box was amazing. We decided to subscribe and receive a new box every month. friendly and can be used in the creation of the projects. There is a large card that gives an overview of each project as well as a summary of the theme of the box. The card also identifies websites for further information and craft ideas. Each box also contains 4 or 5 craft activities, packaged separately, that can be created using the materials in the box. For example, the Botanical kit lets you create leaf prints and a herbarium. The Garden Science kit provides materials for garden art, a greenhouse glove and a wheatgrass and radish garden. These kits are wonderful for children of all ages. My youngest started creating these projects at age 4, and my eldest is now 11 and still loves putting everything together. 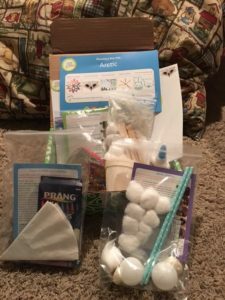 These boxes would be a wonderful addition to a homeschool science curriculum as well as an after school activity to keep little minds engaged. You don’t have to subscribe to get these amazing boxes; you can also buy them separately. My kids however, LOVE when they get their monthly crafts in the mail, and it is well worth the monthly subscription rate. 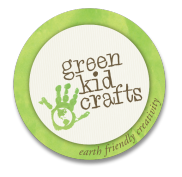 To find out more information and decide for yourself visit www.greenkidcrafts.com. Kimberly Swedberg currently lives in Cape Girardeau, MO with her husband of almost 14 years and three little cherubs. She is a special educator by training but is now homeschooling her cherubs, running a home-based bakery, and teaching Wilton cake decorating classes. And in her spare time (insert laughter here) she enjoys reading, crafting and tap dancing.